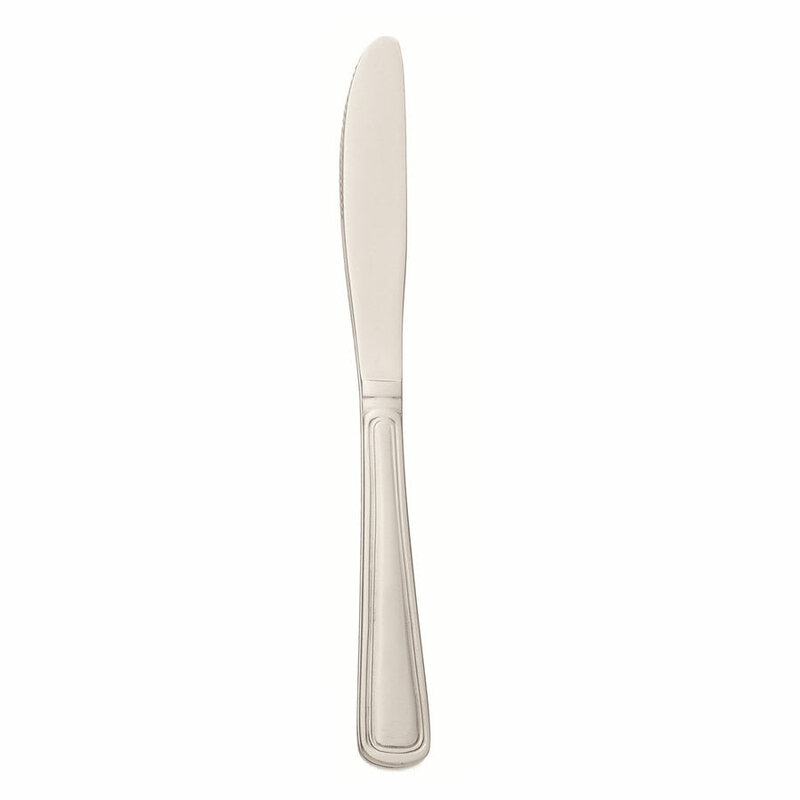 The World Tableware 139 5262 Classic Rim Brandware® dinner knife is 83⁄8 inches long and has small serrations that make it easy to cut through vegetables and soft meats. Its solid handle is comfortable to hold and feels sturdy in the hand. It is made of 18/0 stainless steel for durability in commercial applications. 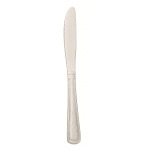 This World Tableware 139 5262 Classic Rim Brandware® dinner knife uses a traditional design to create a classic feel.